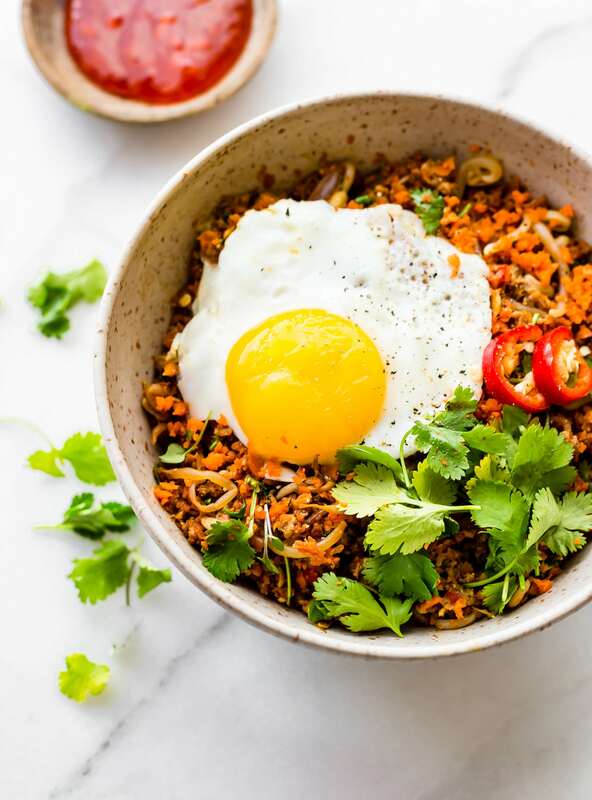 Nasi Goreng is the perfect way to utilize those leftover veggies! A stir fried “carrot rice” mixed with egg and sausage. 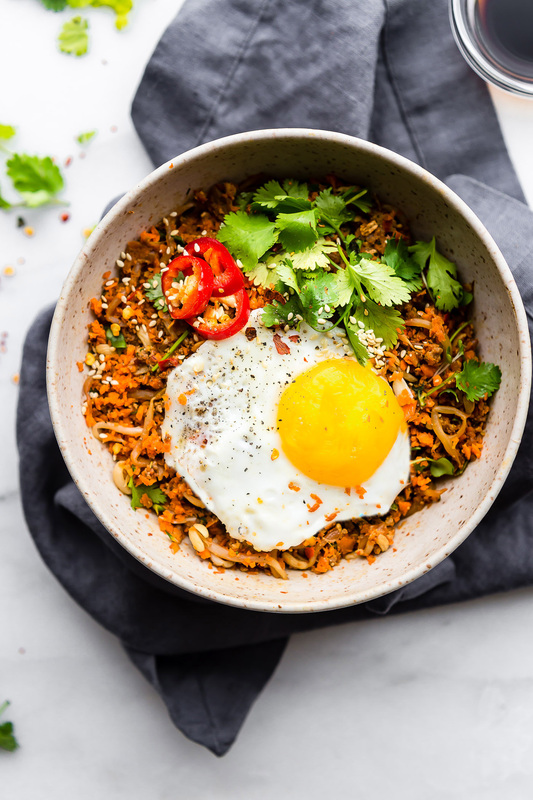 An Indonesian style breakfast, Nasi Goreng is paleo friendly, super flavorful, and packed full of protein and veggies! Cook and serve all in 30 minutes! Hi ya! Are you feeling eggcellent today? Haha, ya know… Post Easter? Please excuse my humor, I’m a wee bit tired. I tend to go overboard on the Corny factor when that happens. Okay but in all seriousness y’all, I am stoked for this week. 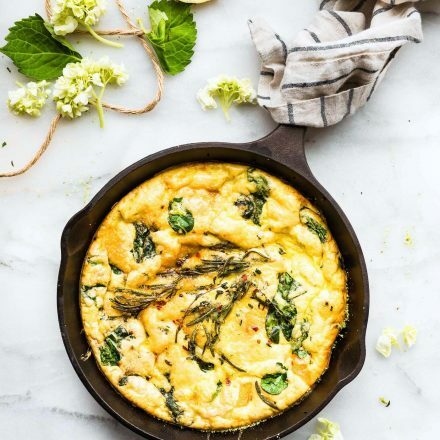 I have a few different egg recipes to share to help you use up all those Easter eggs. Non boring flavorful (and SPICY) egg recipes! Egg recipes made in 30 minutes or less. Starting with this carrot rice breakfast Nasi Goreng. Can you guess what’s in it? Have you ever had Nasi Goreng!? Oh then you must! You see, Original Nasi Goreng is an Indonesian a stir fried rice dish typically spiced with kecap manis (a sweet style soy sauce). It’s very similar to fried rice but uses a different technique combined with a spicier sauce. The eggs can be mixed into fried rice or fried in another pan, then stirred in. All it takes is a little onion or shallot, eggs, chili, garlic, veggies, and your secret sauce! I like to think of Nasi Goreng as spicy Indonesian street food served right up, hot and delicious! A perfect way to utilize ANY leftovers too. In this Nasi Goreng, we will be utilizing all the carrots, eggs, and leftover ham/sausage you got! Since I’m using chicken sausage, this Nasi Goreng will be a variation of Nasi goreng ayam and Nasi goreng santri. Dude, just google all the variations and you’ll know what i mean! The Carrot will serve as our “rice,” then we will throw in all the extra’s veggies you want. 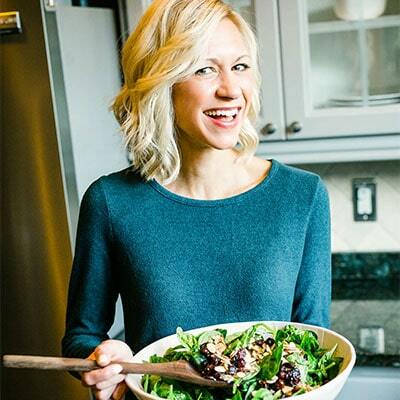 Which makes this dish naturally lower in carbs but higher in nutrient content! Eggs are mixed right in along with our very own gluten free sweet tamari soy sauce (copying the kecap manis). It’s super simple! 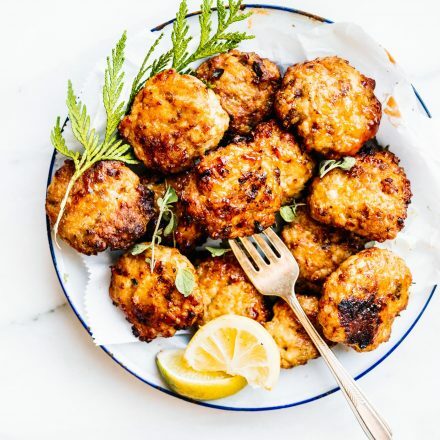 It also makes this dish paleo friendly, protein packed, and oh so easy! Ahhh.. see, it’s EGGCELLENT! Let’s call this a “scrappy Cotter Creation meets Ethnic style street food!” That works. Just go with it. Capeesh? Here’s the basis of what you need. WAM BAM I got you breakfast for dinner planned. Or any meal really! 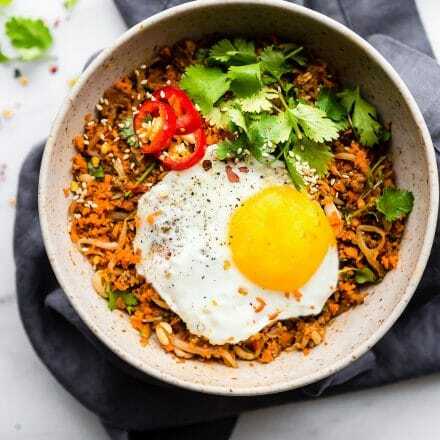 Nasi Goreng is the perfect way to utilize leftover veggies. A stir fried “carrot rice” mixed with egg and sausage. 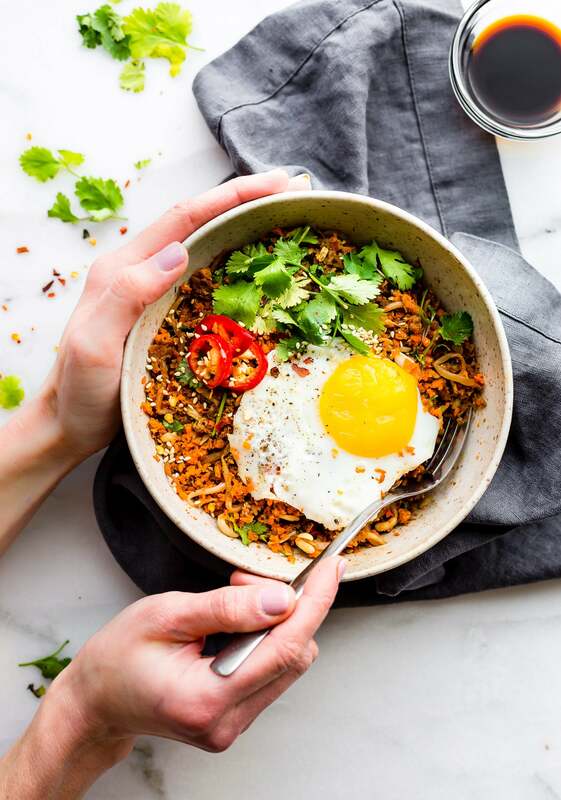 An Indonesian style breakfast, Nasi Goreng is paleo friendly, super flavorful, and packed full of protein and veggies! Cook and serve all in 30 minutes! 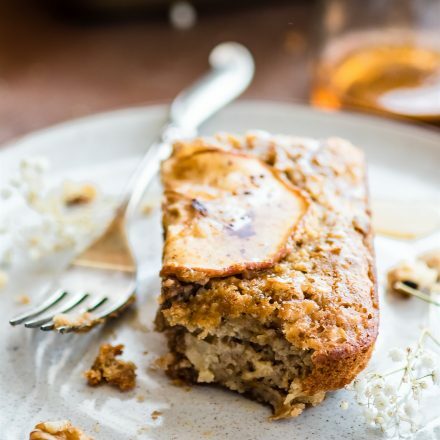 If you don’t want to make this then just use a gluten free hoisin sauce. Boil the tamari, molasses, and water in a saucepan over high heat. Then reduce heat to medium-low and cook until molasses or sugar has dissolved. Put in separate bowl and set aside. Make Spicy Mix-In Sauce by blending Thai or cayenne pepper, ginger, onion/shallot, and garlic together in a bowl; Set aside. “rice” your carrots and broccoli if you haven’t already. 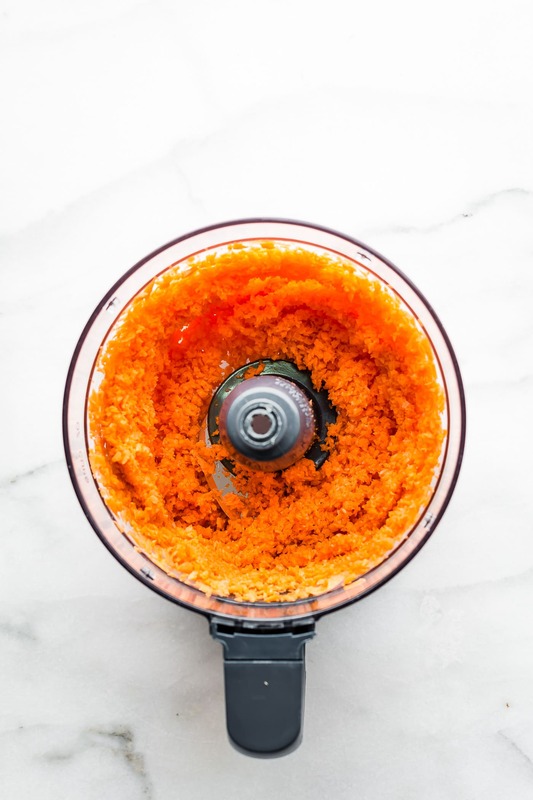 Just pulse in blender or food processor. Add your spicy sauce to a pan with oil. Fry on medium high heat until fragrant. Add sausage or chicken sausage meat and continue cooking on medium high until flavors combine or are cooked through, about 3-5 minutes. Add 2 eggs to pan; fry together for 2 minutes. Add carrot rice , broccoli “rice” or chopped, and bean sprouts and combine over medium heat. Lastly, Add 3 tbsp of sweet soy or tamari sauce and a dash of pepper and salt. Taste and see if it’s to your liking. Adjust salt if needed. Cook for another 1-2 minutes until everything is coated. Divide into 3 serving bowls. Add cilantro and extra sliced thai/cayenne pepper to each bowl. Finally, fry an additional egg per serving to top each bowl. Optional; Mix in 1/2 tbsp chili paste and garnish with sesame seeds. Feel free to add extra spicy sauce or sweet soy tamari sauce to each bowl. You will have extra sweet soy sauce. You can keep extra stored in fridge for 7-10 days. If you don’t want to make sweet soy sauce, feel free to use Indonesian Sweet Soy Sauce, but it is not gluten free or paleo. *To reduce sodium* use reduced sodium Tamari sauce and do not add additional salt. 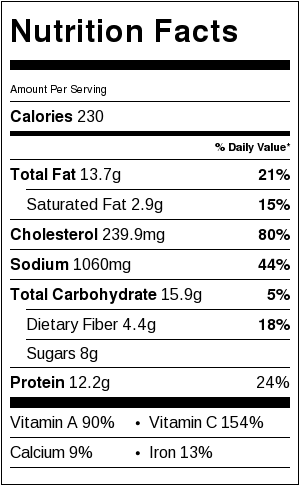 Nutrition shown is per bowl, using chicken sausage. *To reduce sodium* use reduced sodium Tamari sauce and do no add additional salt. Ya’ll, whenever you have a ton of leftovers, whether it be vegetables, rice, meat, etc., just research different stir fry dishes or casseroles. You will find MANY MANY healthy options! Scratch that, just email me, I have TONS of recipes already made or saved for this very reason. Plus I can give you dietary friendly and allergy friendly options. You’re welcome. Ya, mega nerd here. Waste not, want not right? Okay, I’m fried. Literally. Haha! Mondays. 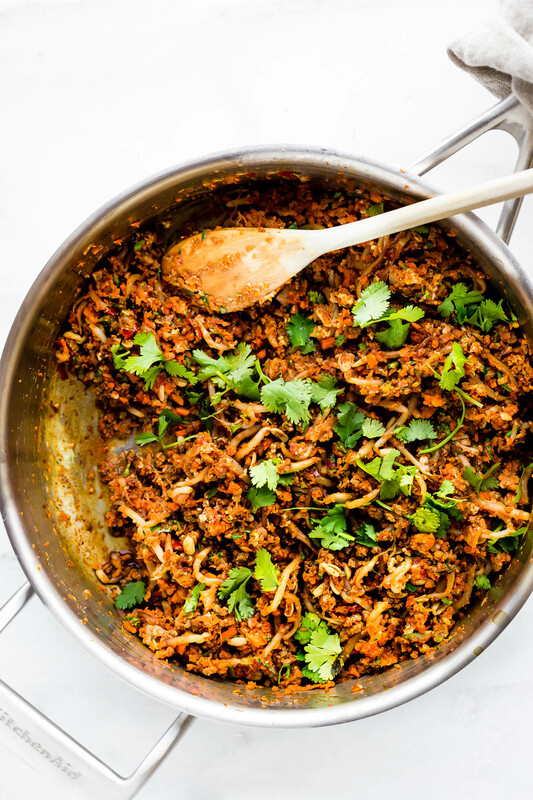 What’s your favorite way to use up leftovers? Ever tried Nasi Goreng? What a creative dish! Loving the carrot addition! Love the carrot rice idea! I just bought spiralized carrot from TJs, which I feel could work here too! for sure! let me know if you do Sam! Love the carrot rice idea! i have not heard of this breakfast dish before but im drooooling as i type. all things savory + eggs is totally my idea of a meal. OMG you’d so love this Dixya! Beautiful recipe. Nasi Goring is one of my favourites. Can’t wait to try this! Oh yea! Let me know if you do Deb! I think you’ve actually out-geniused yourself. This sounds amazing! I can’t get enough carrot right now. And eggs, as always. 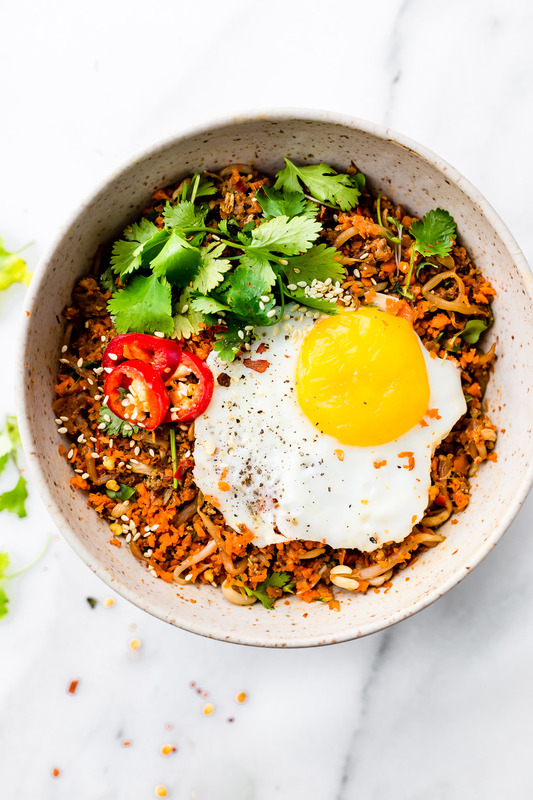 Lady, I’ve never had Nasi Goreng and am in awe – this sounds so flavor packed and that carrot rice is pretty darn brilliant! then you really must eat this whole pan to make up for it. LOL! YESSS! You teach me new things and I love that. Also, “scrappy Cotter Creation meets Ethnic style street food!” should be the name of your cookbook. 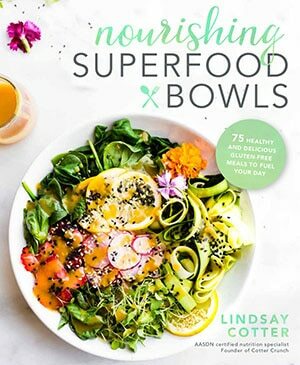 Haha my cookbook is a “Nourish Bowls” book. Still have decided on name though but maybe scrappy ethnic bowls? LOL! I’m eating this right now–it’s wonderful!!! I thought it looked so good, but the carrot rice concerned me as I’m not a carrot fan. I can’t stop eating it though! I’m thrilled to have a new breakfast option, especially one that I love that contains carrots! Oh I am so glad!! I love it too. So tasty! Let me know if you try more Jen! 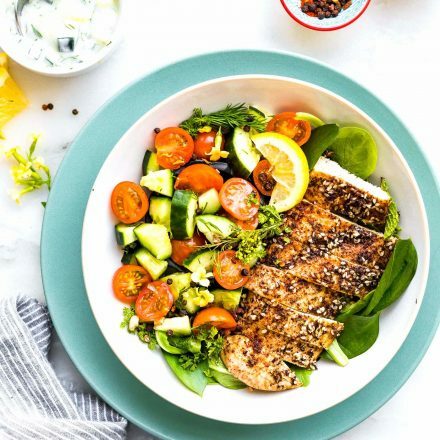 Is this a dish that can be made ahead of time or is it more serve right away? for sure! It’s more marinated. Love it. Just wait to add the egg till later, obviously. Haha. Do you KNOW how many recipes I can make for my gluten, lactose free, pre-diabetic husband ?????? Millions. But of those, ask me how many we enjoy eating….go ahead…ask. YES! Exceedingly fewer than a million but now I have one more keeper. I was a little skeptical at first reading, but we had this for dinner tonight and loved it. I couldn’t find the correct pepper and substituted about a third of a jalapeno, and also couldn’t find bean sprouts, but followed the recipe otherwise. It reminds me a little of mu shoo. Although my definition of “quick” is under 30 minutes, I used my vitamix on the carrots and it worked beautifully. It probably took me about 40 min. to prep. Since I’ll be making this again, I’m sure I’ll be able to cut that down with practice. I made this this morning on a whim and it was so delicious. I was a little confused about the sweet sauce and the spicy mix in sauce and when you combine them, but I just ended up throwing it all into a frying pan and it worked out great. Bonus, my daughter hates broccoli and cooked carrots but she loved this. WINNER! I cannot wait to try this! It looks amazing.